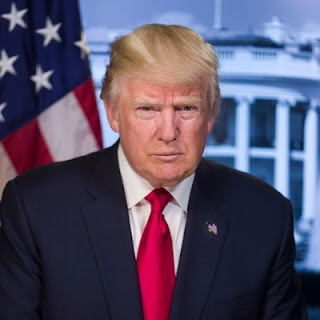 Ogden on Politics: President Trump Proposes that American Consumers Pay for "The Wall"
President Trump Proposes that American Consumers Pay for "The Wall"
First, about 6 million U.S. jobs depend on trade with Mexico, according to the U.S.
Chamber of Commerce. Experts say those jobs would be jeopardized if Trump restricts trade with Mexico. It's Economics 101, a course Trump apparently never took in college. Off the Trump aspect, I would support tariffs since they coincide with the physical borders to replace the income tax. It makes logical sense to match the physical with the fiscal. Amen! This is a total snow job... welcome to Trumpland!! Trump is talking about abolishing the income tax? Trump has brought the country together, we all hate him. Christina Scales has betrayed her base. Switching parties is fair play if the change is made for & during an election. A friend pointed this out during Jose Evans switch & he was right. Actually he could start the tax a little lower and raise it 5% each of the 4years of his presidency. That would give a domestic producer the incentive to build a competing product to replace the imported product. That would raise import costs at a slower rate and giving the buyer a break and encourage competitors to add/create jobs while replacing the foreign producers products. That's called winning.